Replacement putter head cover, does exactly what you would wont a putter cover to do. 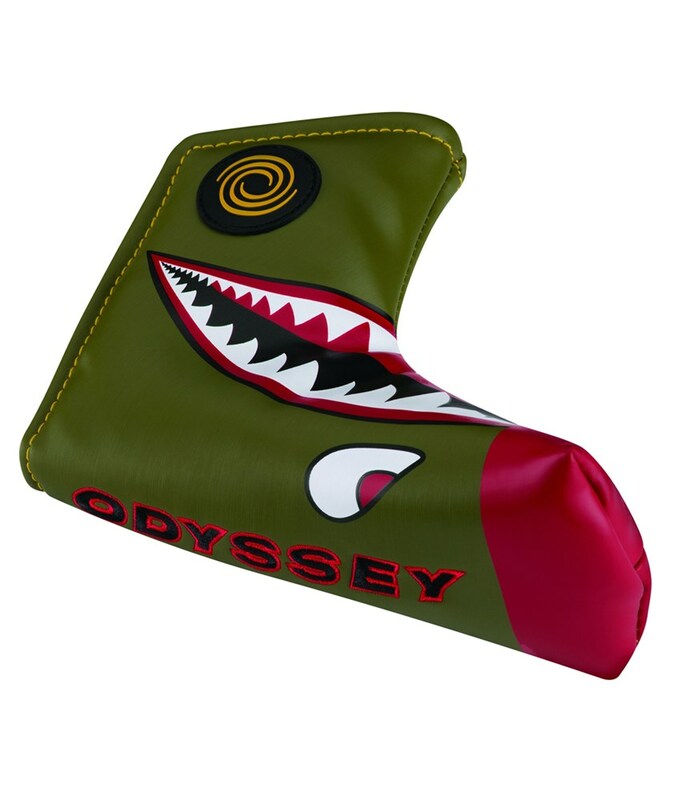 The Odyssey Fighter Plane Mallet Putter Headcover will fit on to the majority of larger headed putter with the exception of centre shafted models. The main function of the headcover is to stop the putter getting damaged by knocking against other clubs in the bag however the Fighter Plane design makes it stand out from the standard manufacturers headcovers. 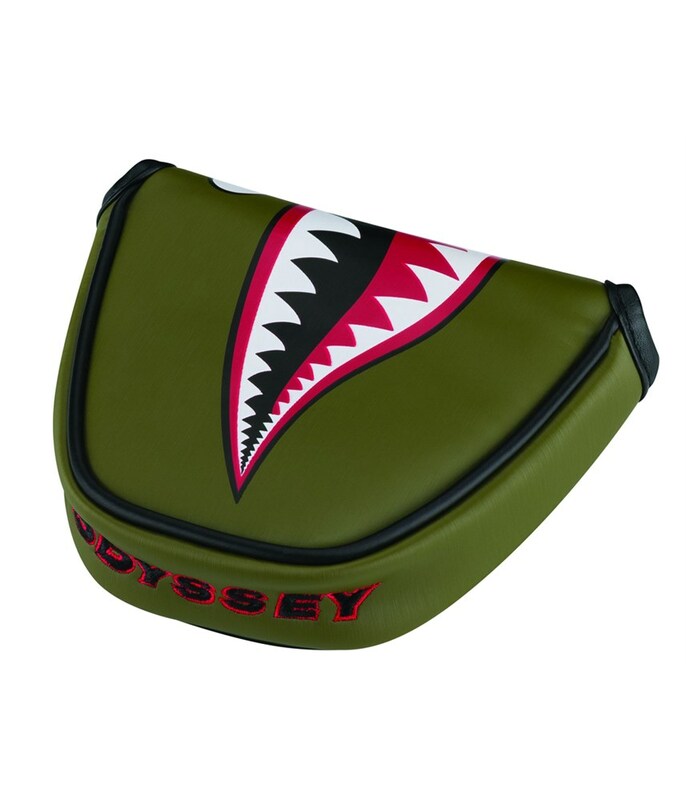 Odyssey have used a magnetic closure system that will ensure that the putter cover stays on while you are playing golf and protects the head of the putter. 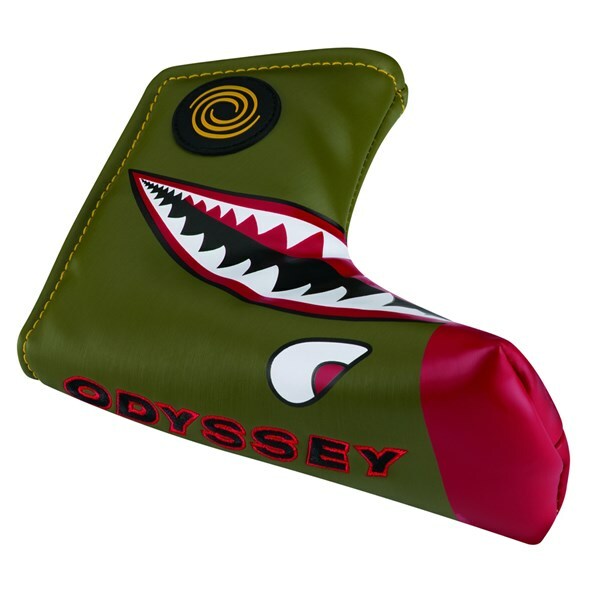 The Odyssey Fighter Plane Blade Putter Headcover will help protect your putter from damage caused by knocking against other clubs in the golf bag. 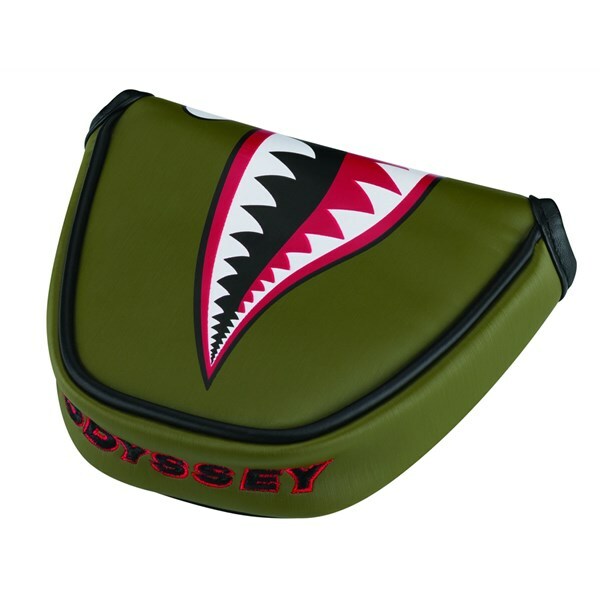 With its distinctive fighter plane styling this blade putter headcover features a magnetic closure that will make sure that the putter headcover stays on and does its job of protecting the head while looking really good at the same time.